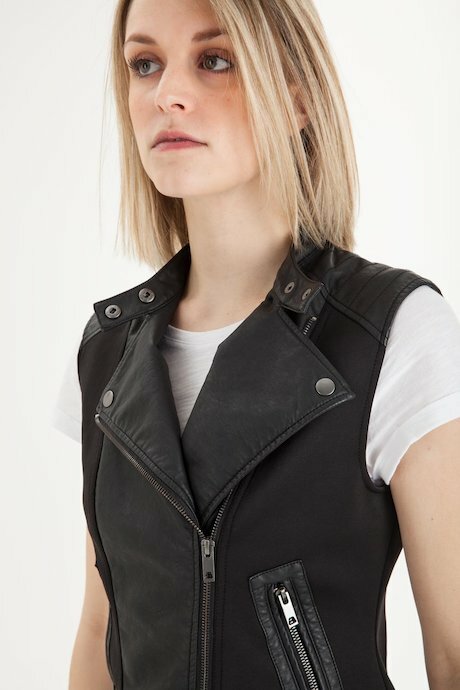 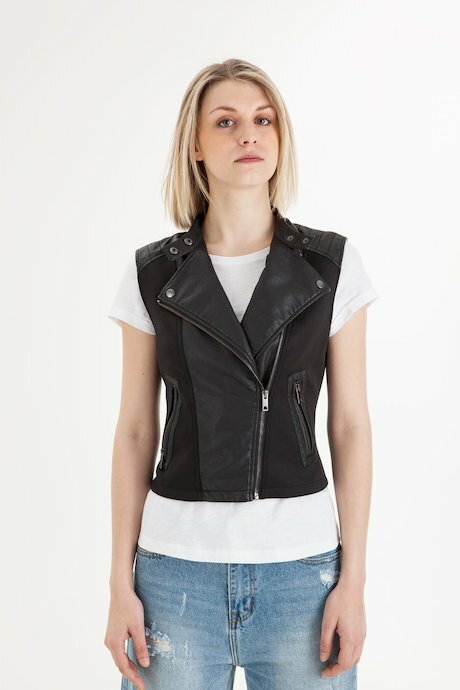 Woman's vest, neoprene with faux leather inserts. 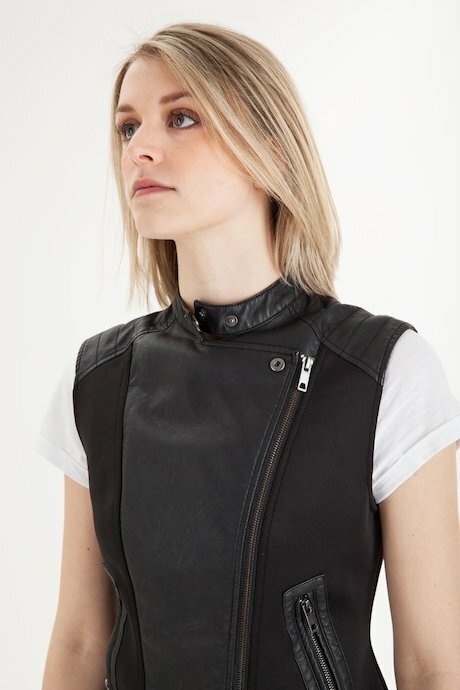 Asymmetrical fastening, stand up collar with snap button. 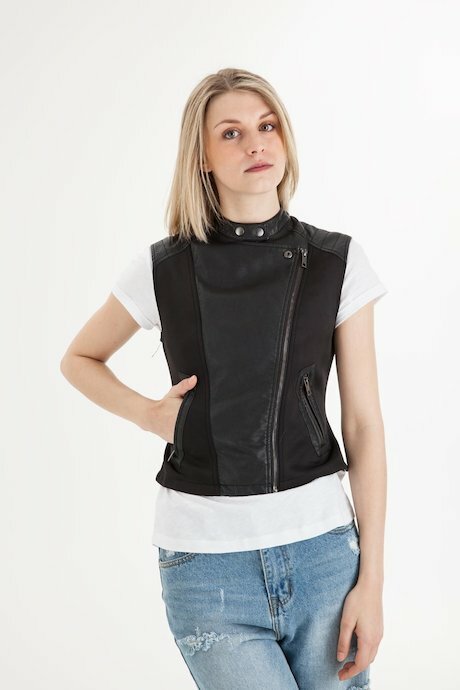 The ideal garment if you are looking for a garment for a trendy and gutsy look. 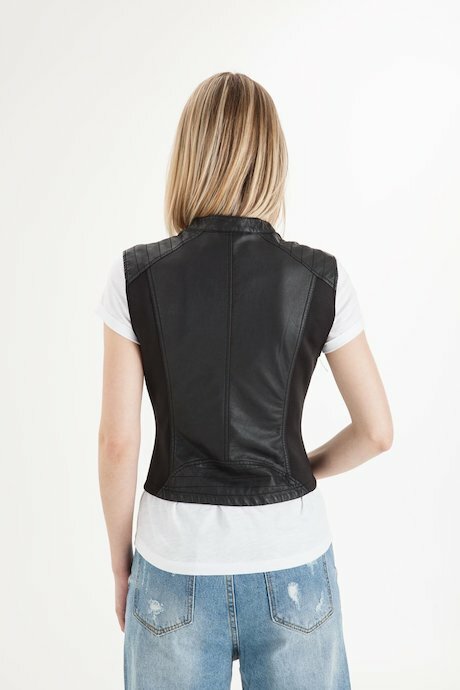 Check Product Details for more technical information.